In recent years, many studies indicate that children with an autism spectrum disorder (ASD) diagnosis have brain pathology suggestive of ongoing neuroinflammation or encephalitis in different regions of their brains. Evidence of neuroinflammation or encephalitis in ASD includes: microglial and astrocytic activation, a unique and elevated proinflammatory profile of cytokines, and aberrant expression of nuclear factor kappa-light-chain-enhancer of activated B cells. A conservative estimate based on the research suggests that at least 69% of individuals with an ASD diagnosis have microglial activation or neuroinflammation. Encephalitis, which is defined as inflammation of the brain, is medical diagnosis code G04.90 in the International Classification of Disease, 10th revision; however, children with an ASD diagnosis are not generally assessed for a possible medical diagnosis of encephalitis. This is unfortunate because if a child with ASD has neuroinflammation, then treating the underlying brain inflammation could lead to improved outcomes. The purpose of this review of the literature is to examine the evidence of neuroinflammation/encephalitis in those with an ASD diagnosis and to address how a medical diagnosis of encephalitis, when appropriate, could benefit these children by driving more immediate and targeted treatments. Perth mother Kirsten Button, whose toddler Saba suffered brain damage after her Fluvax shot in 2010, said yesterday she was “shocked” the government would award the contract to CSL when it did not know why Fluvax had caused so many febrile convulsions. “What assurance does the public have, when they have not explained to us what happened with Fluvax in the first place?” Ms Button said. She said Saba had been in perfect health before her flu shot, but 16 hours later was on life support, with brain injury and organ damage. Now two months shy of her third birthday, Saba has epilepsy and is fed through a tube. “She doesn’t talk, she doesn’t walk, she doesn’t eat and she can’t see properly,” Ms Button said. However, the little girl does occasionally reward her parents with a smile. CSL was awarded the $117m contract in December, and the information was published on the federal government’s tender database last Friday. Sanofi-Aventis was awarded a $69.5m contract while GlaxoSmithKline received a $14.7m contract – both to supply seasonal and pandemic flu vaccines for five years. The contracts coincide with a new TGA review that reveals the risk of side-effects in adults from Fluvax in 2010 was “modestly higher” than for two rival brands. Fluvax was 14.5 times more likely to cause a headache and nine times more likely to cause fatigue than Vaxigrip. The data – based on an analysis of “adverse events” in adults vaccinated during the 2010 flu season – reveals Fluvax was 4.4 times more likely to cause vomiting and 10.7 times more likely to cause injection site pain than Influvac, made in The Netherlands for Abbott Australasia. The human papillomavirus (HPV) vaccine has been linked to a number of serious adverse reactions. The range of symptoms is diverse and they develop in a multi-layered manner over an extended period of time. The argument for the safety and effectiveness of the HPV vaccine overlooks the following flaws: (i) no consideration is given to the genetic basis of autoimmune diseases, and arguments that do not take this into account cannot assure the safety of the vaccine; (ii) the immune evasion mechanisms of HPV, which require the HPV vaccine to maintain an extraordinarily high antibody level for a long period of time for it to be effective, are disregarded; and (iii) the limitations of effectiveness of the vaccine. We also discuss various issues that came up in the course of developing, promoting and distributing the vaccine, as well as the pitfalls encountered in monitoring adverse events and epidemiological verification. Importance Despite research showing no link between the measles-mumps-rubella (MMR) vaccine and autism spectrum disorders (ASD), beliefs that the vaccine causes autism persist, leading to lower vaccination levels. Parents who already have a child with ASD may be especially wary of vaccinations. Objective To report ASD occurrence by MMR vaccine status in a large sample of US children who have older siblings with and without ASD. Design, Setting, and Participants A retrospective cohort study using an administrative claims database associated with a large commercial health plan. Participants included children continuously enrolled in the health plan from birth to at least 5 years of age during 2001-2012 who also had an older sibling continuously enrolled for at least 6 months between 1997 and 2012. Exposures MMR vaccine receipt (0, 1, 2 doses) after 1 year of age. Main Outcomes and Measures ASD status defined as 2 claims with a diagnosis code in any position for autistic disorder or other specified pervasive developmental disorder (PDD) including Asperger syndrome, or unspecified PDD (International Classification of Diseases, Ninth Revision, Clinical Modification 299.0x, 299.8x, 299.9x). Results Of 95 727 children with older siblings, 994 (1.04%) were diagnosed with ASD and 1929 (2.02%) had an older sibling with ASD. Of those with older siblings with ASD, 134 (6.9%) had ASD, vs 860 (0.9%) children with unaffected siblings (P < .001). MMR vaccination rates (≥1 dose) were 84% (n = 78 549) at age 2 years and 92% (n = 86 063) at age 5 years for children with unaffected older siblings, vs 73% (n = 1409) at age 2 years and 86% (n = 1660) at age 5 years for children with affected siblings. MMR vaccine receipt was not associated with an increased risk of ASD at any age. For children with older siblings with ASD, at age 2, the adjusted relative risk (RR) of ASD for 1 dose of MMR vaccine vs no vaccine was 0.76 (95% CI, 0.48-1.22; P = .25), and at age 5, the RR of ASD for 2 doses compared with no vaccine was 0.56 (95% CI, 0.30-1.04; P = .07). For children whose older siblings did not have ASD, at age 2, the adjusted RR of ASD for 1 dose was 0.91 (95% CI, 0.68-1.20; P = .50) and at age 5, the RR of ASD for 2 doses was 1.09 (95% CI, 0.76-1.54; P = .65). Conclusions and Relevance In this large sample of privately insured children with older siblings, receipt of the MMR vaccine was not associated with increased risk of ASD, regardless of whether older siblings had ASD. These findings indicate no harmful association between MMR vaccine receipt and ASD even among children already at higher risk for ASD. MARC J. BERN & PARTNERS LLP, the attorneys who last month filed their first complaint in Philadelphia Court of Common Pleas on behalf of Jorja Bently, today have filed complaints for another 100 plaintiffs against Merck regarding its Shingles vaccine, Zostavax. The assertions are wide ranging and include plaintiffs claiming to have suffered various side effects which include contracting shingles, chickenpox, high blood pressure, intense neuropathic pain, eye injuries, headaches, dizziness amongst others. It is alleged by Marc J. Bern & Partners LLP that “Merck knew and had reason to know that its Zostavax vaccine was inherently defective and unreasonably dangerous as designed” that “Merck downplayed the serious and dangerous side effects of its product to encourage sales of the product; consequently, Merck placed its profits above its customers’ safety.” According to founding Partner Marc J Bern, the firm is currently representing nearly 5000 claimants and has thousands more filings to follow. “We have been investigating this drug for quite some time. We steadfastly believe in the merits of this litigation. This vaccination is at best 50 percent effective. Either it is not effective or it causes shingles or a host of other side effects. What is most troubling is that Merck had a better alternative on hand when this product was released.” says Bern. Merck has explicitly stated that those who receive the Zostavax vaccine “may still get shingles.” However, Bouk argued that some people may be contracting shingles as a side effect of the vaccine itself due to the live virus strain in the vaccine, not because people are experiencing shingles despite the vaccine. Bouk went on to say that “there is a study out there that shows that in 50% of the patients that actually get the vaccine, that sometimes they don’t get shingles — the virus goes straight to manifesting in the central nervous system. It’s possible that you could get the vaccine and get meningitis or encephalitis without ever actually exhibiting shingles.” Bouk advises that patients weigh the risks of Zostavax before receiving the vaccine. By now I think most people have seen the commercials on television telling us that if we’ve ever had the chicken pox at any point in our lives, then the shingles virus is already inside of us. As it stands right now, there is a vaccine for shingles called Zostavax, but what we’re finding out now about this vaccine makes it seem like it might be pretty dangerous or at least cause some side effects that are actually the same as what we’d see from shingles. Ring of Fire’s Farron Cousins talks with Attorney Troy Bouk about the dangers associated with Zostavax. INTERNATIONAL HUMANITARIAN LAW STATES – IT IS ILLEGAL TO TAKE AWAY ANYONES RIGHT OF INFORMED CONSENT! THAT LAW STILL STANDS! The world is watching as Irish communities have gained public, political and mainstream media traction. Irish families have faced an uphill battle against a pharmaceutical invasion of their healthcare system. Loss of informed consent and medical ethics at the hands of the school system has come between parental rights. HPV vaccine injury from Gardasil & Cervarix is mounting as the country’s medical system plays catch-up to help its injured daughters. Yet acknowledgment within Irish healthcare and politics is still slowed by the crippling pharmaceutical control and conflicts of interest that remains. The American College of Obstetricians and Gynecologists’ (ACOG) Committee on Ethics released a “Committee Opinion” [in June 2016] that outlines what doctors should do when a woman refuses the treatment recommended to her by an obstetrician. A desire to protect the health and safety of the unborn baby may be at odds with the ethical obligation to safeguard a woman’s autonomy and right to choose what happens to her own body. In these cases, the Committee says, doctors are obliged to respect the patients decisions without attempt at coercion. ABSTRACT: One of the most challenging scenarios in obstetric care occurs when a pregnant patient refuses recommended medical treatment that aims to support her well-being, her fetus’s well-being, or both. In such circumstances, the obstetrician–gynecologist’s ethical obligation to safeguard the pregnant woman’s autonomy may conflict with the ethical desire to optimize the health of the fetus. Forced compliance—the alternative to respecting a patient’s refusal of treatment—raises profoundly important issues about patient rights, respect for autonomy, violations of bodily integrity, power differentials, and gender equality. The purpose of this document is to provide obstetrician–gynecologists with an ethical approach to addressing a pregnant woman’s decision to refuse recommended medical treatment that recognizes the centrality of the pregnant woman’s decisional authority and the interconnection between the pregnant woman and the fetus. 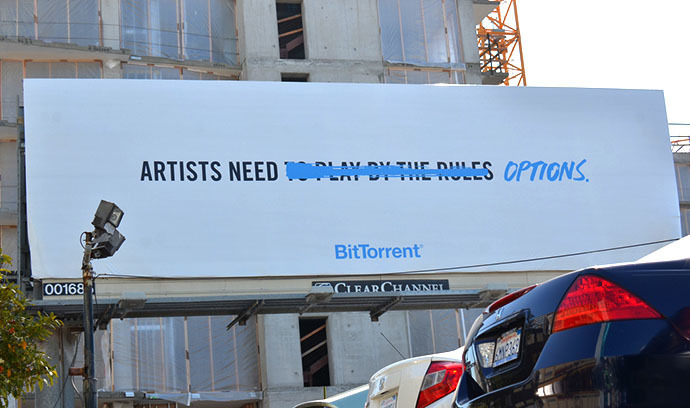 BitTorrent ethics: Punishing piracy or criminalizing sharing? If you live in a densely populated modern city, there is a strong chance that wireless network transmissions that are in breach of copyright law could be around you at this very moment. The decentralized network architecture known as peer-to-peer (P2P) communications allows files of all kinds to be shared over the internet with other users without monetary exchange, and millions utilize this technology on daily basis. To some, this kind of exchange represents a new paradigm shift in sharing arts and culture that has the potential to empower new content producers who would have otherwise been consumers, while giving rise to a new decentralized economic model. To those who have a stake in maintaining the pre-eminence of copyright laws over the means of distribution, the millions who utilize these new habits of consumption are likened to renegade sea-bandits in arms – pirates – and they need to be stopped. Most file-sharing is utilized through BitTorrent, and involves a host website that supports an index of .torrent files that can be downloaded in separate client applications. The content itself is not stored on a single centralized hard drive, but rests on the individual hard drives of millions of users who share their files through a P2P network, making file-sharing very difficult to regulate. The kinds of files that are shared range from films and music to software and e-books. All of it is done without monetary exchange, just as one would share the same kind of content with a friend. Much like the printing press, cassette recorders, VCRs, cable television, mp3 players and the like, the film studios of Hollywood and the recording industry view such innovations as an existential threat to their industries – and file-sharing has become the present day object of a witch-hunt led by the Motion Picture Association of America (MPAA) and its counterpart, the Recording Industry Association of America (RIAA). Before the digital age, information was exchanged through bulky bundles of paper and plastic discs. The internet was originally developed as a means to circumvent these physical limitations by creating a decentralized network that would allow users to connect to each other irrespective of their physical location. From the perspective of the file-sharer, the internet is functioning exactly as it was intended to. For the intellectual property industries that are bent on punishing offenders of copyright law (people who exchange copyrighted files), the internet cannot be allowed to exist as it does now. As a result of massive lobbying efforts, trends are emerging among lawmakers to develop far-reaching regulations to govern the internet and inalterably change the way it operates. The bottom line is that industries and the corporations that control them want to pass regulation to give the private sector sweeping central authority over the internet and its content under the guise of protecting intellectual property rights, while vastly expanding the duration of existing copyrights. The unregulated internet is arguably the most representative and democratic feature of industrial societies, and the ideology of ‘copyright fundamentalism’ threatens this medium of exchange. Because file-sharing is done through private means and decentralized networks, copyright law cannot be enforced without violating the privacy of individual users through mass surveillance that would monitor sharing habits. What could the regulated Internet 2.0 look like? Based on the fine print of bills that have failed to become law, a few ideas come to mind. Websites and blogs can be taken down without court order over the most marginal cases of copyright infringement; file-sharers would have their bandwidth cut for using P2P and be subject to pay steep fines; invasive hard drive searches by police and immigration officials at airports, and more. The end-game for corporate lobbyists is to persuade governments to deregulate and liberalize markets and economic space while regulating communication mediums like the internet to protect the deregulation of the economic space that protects corporate monopoly profits. It’s liberty for the markets. Not for you. At the TEDx conference in Detroit last week, RoboRoach #12 scuttled across the exhibition floor, pursued not by an exterminator but by a gaggle of fascinated onlookers. Wearing a tiny backpack of microelectronics on its shell, the cockroach—a member of the Blaptica dubia species—zigzagged along the corridor in a twitchy fashion, its direction controlled by the brush of a finger against an iPhone touch screen (as seen in video above). RoboRoach #12 and its brethren are billed as a do-it-yourself neuroscience experiment that allows students to create their own “cyborg” insects. The roach was the main feature of the TEDx talk by Greg Gage and Tim Marzullo, co-founders of an educational company called Backyard Brains. After a summer Kickstarter campaign raised enough money to let them hone their insect creation, the pair used the Detroit presentation to show it off and announce that starting in November, the company will, for $99, begin shipping live cockroaches across the nation, accompanied by a microelectronic hardware and surgical kits geared toward students as young as 10 years old. That news, however, hasn’t been greeted warmly by everyone. Gage and Marzullo, both trained as neuroscientists and engineers, say that the purpose of the project is to spur a “neuro-revolution” by inspiring more kids to join the fields when they grow up, but some critics say the project is sending the wrong message. “They encourage amateurs to operate invasively on living organisms” and “encourage thinking of complex living organisms as mere machines or tools,” says Michael Allen Fox, a professor of philosophy at Queen’s University in Kingston, Canada. “It’s kind of weird to control via your smartphone a living organism,” says William Newman, a presenter at TEDx and managing principal at the Newport Consulting Group, who got to play with a RoboRoach at the conference. At the same time, he says, he is pleased that the project will teach students about the neuroscience behind brain stimulation treatments that are being used to treat two of his friends with Parkinson’s disease.